Bull mastiffs have been implicated in several fatal dog attacks in recent years, one which included a fatal dog attack on a 10-year-old boy in Oklahoma. Fatal dog attacks involving bull mastiffs should not come as a great surprise given the increased popularity of keeping this breed as a companion guard dog, and the inability of the average pet owner to exert sufficient control over dogs like bull mastiffs. The average weight of a full-grown male is between 140-170 pounds. Besides height, standing about 26 inches at the shoulders, the breed also possesses tremendous bulk, thus making individuals of this breed extremely powerful. 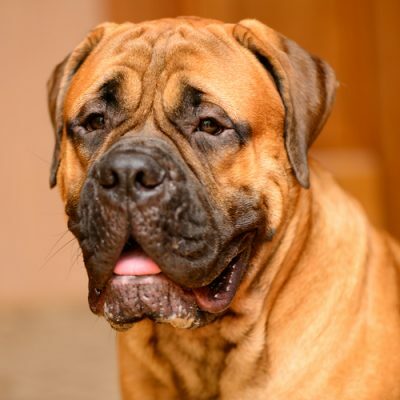 In November 2013, another bull mastiff attack took the life of the 75-year-old lady in Hot Springs, Arkansas. Hot Springs is located in central Arkansas, population about 35,000. At the time of the incident, the dog was in the care of a pet sitter, and not the owner. The incident happened during the victim’s usual morning walk. The dog had escaped from the property, and the pet sitter heard the altercation from inside the house. She attempted to stop the attack, but was unable to do so, and was bitten herself (an example of canine redirected aggression). It is not clear how the attack eventually stopped, however. Prior to the incident, according to news reports, there were no previous complaints or dog bite incidences involving the dog. One might speculate that the bull mastiff was probably male, reproductively intact, and not given any specific training to inhibit its aggressive tendencies. This fits the profile of many dogs involved in fatal dog attacks on people. Since the dog escaped from the property, and attacked the victim on the street, the incident probably happened because of strong territorial-protective tendencies in this dog. Like many other breeds in the mastiff line (e.g. Presa Canario, Dogo Argentino, Cane Corso), the trait of territorial aggressive behavior is heavily imbued into the genetic endowment of the bull mastiff.